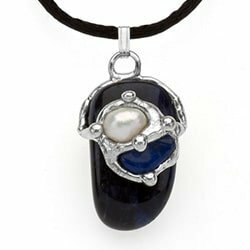 Wear this pendant for healing, harmony, wisdom, love, peace and balance. 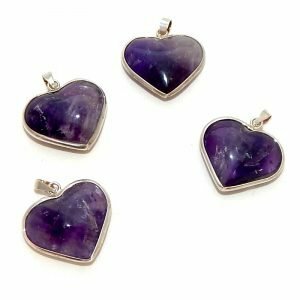 Aventurine The healer’s stone.Aventurine calms a distraught heart and has a stabilizing effect. Emerald is a stone of great harmony, wisdom and love. Emerald gives knowingness of the heart, peaceful dreams, and to transmit balance, healing & patience. Prehnite is a stone of unconditional love. 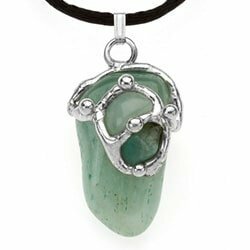 It is said to connect to the archangel Raphael.Prehnite enhances inner knowledge, showing the path forward to spiritual growth through attunement to divine energy. Direct from designer. Gemdrops are approx 3/4 to 1 inch in diameter. These are very unique. Each Item is individually made, so no 2 pieces are exactly alike. All Gemdrops come with black satin cord and information card.